I have been busy these last three weeks. 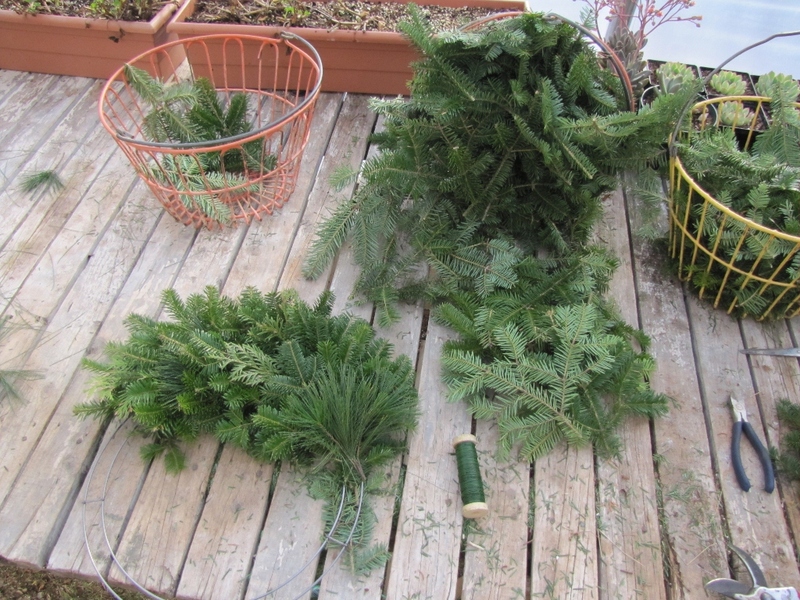 Now that all the perennial have been tucked into bed I am out cutting fir to make wreaths. We are lucky here to have a good supply on our property. 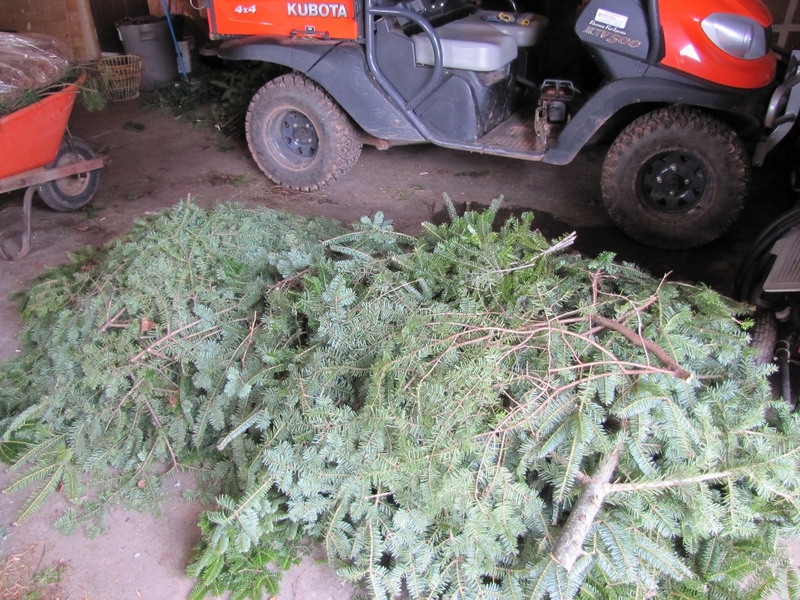 It is easy to just cut lower branches of the fir trees as they are growning, and sometimes we do thin out trees that are close together. So nothing is wasted. 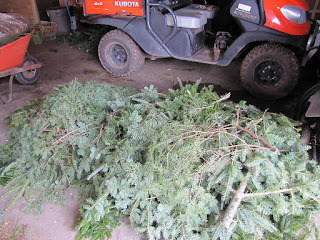 I collect cedar from a massive hedge that Andrew's Dad has on his property and I also raid his white pine trees. I prefer the white pine as it is the softest of the pines. 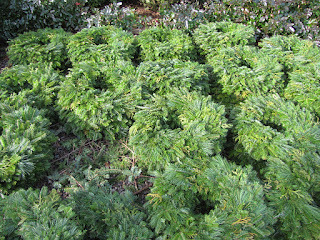 I have in the past used hemlock, cypress, juniper, and yews. I have inserted dogwood, spirea and any other shrub or perennial (sedum) that has an interesting seed head or drying flower that I can find. I started the week after Remembrance Day. It seems early but I need that time to get them all done. It was a lovely week, so warm, didn't need any extra heat on at all. 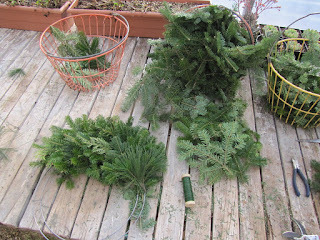 During the second week, my hands froze cutting the brush into usable pieces. Thank goodness for the greenhouse. Now this week we are back to the balmest (is that word?) weather I can remember. I have been making these the last few years for our local 4-H club as well as a steady clientele. 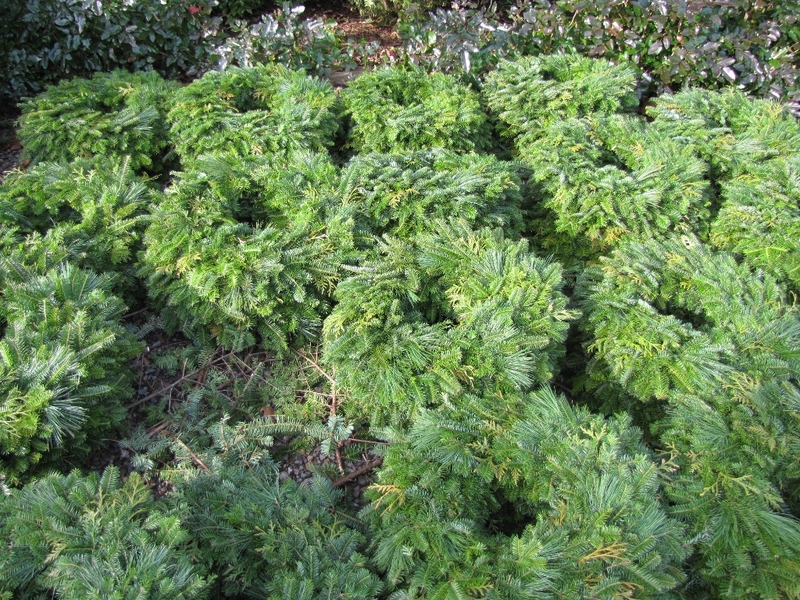 Don't be fooled by the quantities in this picture, each wreath is a stack of 5 and that is just one part of the pile. I have been determined to post atleast 2 blogs a month. I haven't even had time this month to go for my usual walk and to the local excersize class Tuesday and Thursday mornings. Maybe next week, then we will be 10 below Just my luck.